My first book, The Smartphone: Anatomy of an Industry, was published on September 9th, 2014. It was a tremendous amount of work and I hope that people like it, or at least like parts of it. You can order a hard copy or an e-book version online at Amazon or Barnes & Noble. 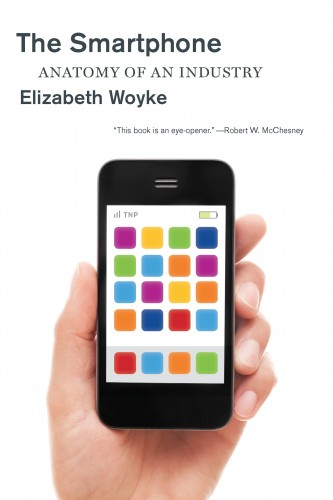 The Smartphone is also available in Barnes & Noble bookstores and in independent bookstores, which you can locate via IndieBound. My publisher, The New Press, is also negotiating translation and distribution rights outside the U.S. So far, we have a deal to translate the book into Chinese and sell it in Taiwan, Hong Kong, and Macau. For more information about The Smartphone, read on. I’ve created a short FAQ section. SMARTPHONES ARE FAST BECOMING one of the most widely used devices in the world, with vendors shipping more than one billion smartphones in 2013 alone. Many of us use them constantly, and we depend on them for every conceivable purpose. And yet most of us know little about them—how they are manufactured, how they are designed, and what exactly we, as consumers, are paying for when we buy a smartphone. A sharp, informative, and accessible guide to this multibillion-dollar industry, The Smartphone offers the reader a step-by-step look at how a smart- phone is assembled, profiling the key players in the smartphone wars, such as Google, Apple, and Samsung, as well as delving deep in the more troubling aspects of the industry—including issues of privacy and security, labor abuses in China, the use of conflict minerals from the Democratic Republic of Congo, and the escalating problem of e-waste disposal. Featuring numerous interviews with experts in the field, a comprehensive history of the earliest smartphones, and advice to consumers about how to make the smartphone industry work in their favor, The Smartphone is an incisive and penetrating introduction to this ubiquitous gadget. Where can I read an excerpt? You can see a snippet of it here, on the WBUR/On Point radio website. I was a guest on that show in June 2014, talking about Amazon’s new Fire phone. That day, the On Point crew published a small portion of my book’s first chapter on the show site. In November 2014, the Utne Reader published another excerpt, this time of the book’s “wireless waste” section, which looks at how supersized smartphone plans and mobile data cause consumers to waste money. How much does your book cost? Not very much! It’s just $12.43 on Amazon for the hard copy and $9.99 for the e-book (Kindle) copy. 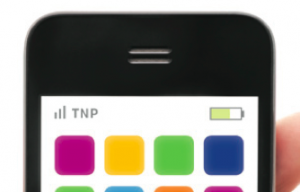 Why does the phone shown on your book cover say “TNP” on its screen? I didn’t design the cover; someone at my publisher did. My publisher is called The New Press, so “TNP” is a reference to it. I guess someone thought it would be funny to write “TNP” instead of, say, “AT&T” on the phone image.